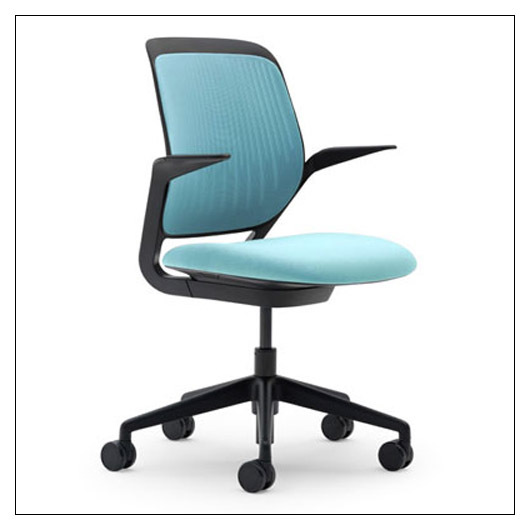 Steelcase Cobi(tm) Collaborative Chair - Black Frame (SC434COBIBLK) at Pure Design / Seating / Workspace ::: Furniture for the Home, Office, Home Office, and More at Pure Design Online! The cobi chair encourages movement and supports a variety of postures. With only one adjustment (seat height), and a mechanism that's weight activated - and senses and supports your own center of gravity - anyone can get comfortable quickly. The cobi is ready to go right out of the box! Please allow 1 additional week for delivery. This item can only be shipped to street addresses in the contiguous 48 United States.